DNA Behavior International adds interactive dinner aimed at further activating behavioral insight solutions for attendees during April 24-25 training in Atlanta. Atlanta, GA, April 04, 2019 --(PR.com)-- Atlanta-based DNA Behavior International has added a special new component to its previously scheduled DNA Accredited Financial Advisor Training, April 24-25, in Atlanta. Attendees of the two-day workshop also will now be included in an interactive dinner, Thought Accelerators: Future Fintech, at which participants ranging from beginners to experts will discuss behavioral insight challenges and solutions, further activating what they have learned toward practical, powerful outcomes. The comprehensive workshop builds on the foundation of Financial DNA-savvy advisors, helping them become what Massie calls Human Performance Accelerators. The training is for financial advisors and wealth managers already familiar with the Financial DNA Discovery Processes, which advisors use to learn the communication styles, financial habits (including setting goals, spending and saving) behavioral biases and risk profiles of clients. Those completing the two-day training will receive DNA Accredited Financial Advisor certification. According to Massie, the six pillars of DNA Financial Planning Performance will be explored in-depth using the company’s proprietary behavioral insights tech platform. The only validated behavioral insights fintech of its kind. He expects advisors to then be able to not only deliver better client outcomes, but also be able to increase and sustain profitability. The practical and experiential training program addresses Natural (inherent) Behavior, How to Deploy the Financial DNA Discovery Process to meet the behavioral challenges of every client on their own unique terms, Learned Behavior and Additional Behavioral Finance Insights, including: (Advisors) discovering their own strengths and struggles; Learning how to use behavioral insights in relating to different clients more effectively; Identifying ideal clients and keeping them engaged; Techniques for improving client meeting facilitation with powerful questions across multiple communications channels; and Building behaviorally smart portfolios which align client risk-taking, decision biases, goals, spending and financial capacity. Complete information and registration for DNA Accredited Financial Advisor Training, including location information – Dunwoody (North Atlanta), just outside the perimeter – is included at the information and registration link. Who should attend? 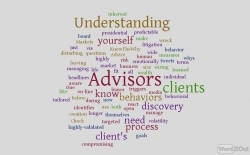 Financial advisors, wealth managers and others who want to master validated behavioral finance insights that accelerate the results achieved by both advisors and their clients. The training also is recommended for any organization considering implementing a DNA financial personality management API solution. Founded in 2001, DNA Behavior delivers practical, real-time, scalable behavioral insights to accelerate human performance in over 123 countries through 11 languages. In addition to its Financial DNA, the company’s 12 proprietary DNA Behavior Discovery Processes include Communication DNA and Business DNA. - Digital solutions for practical and scalable delivery across a firm’s whole client base.